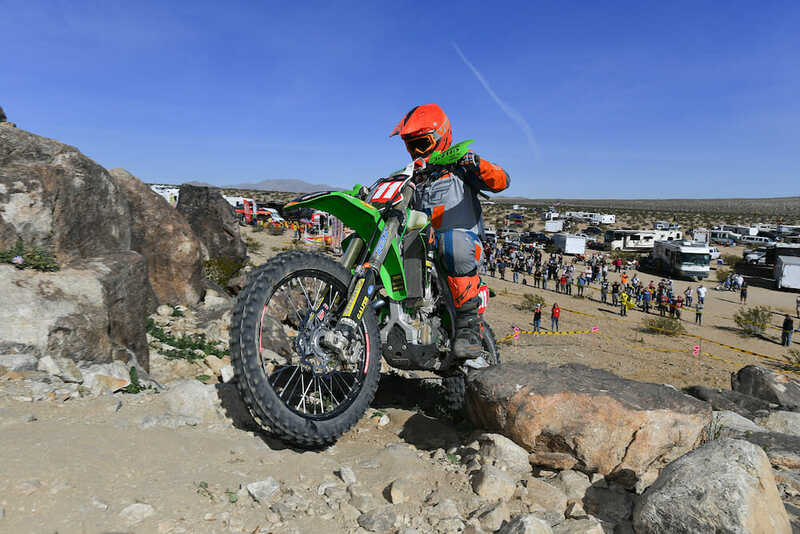 Jacob Argubright (Off-road Support/TBT Racing Kawasaki) came from behind to win the opening round–the Winter Classic–of the Kenda/SRT AMA Hare & Hound National Championship Series in Lucerne Valley, California, January 27. The Desert Motorcycle Club’s 52nd running of the Winter Classic wasn’t decided until the final loop when the privateer racer, Argubright, found his way into the leading, taking full advantage of a mishap by then-leader Kendal Norman, who dropped all the way back to eighth at the finish. Argubright took command in the late stages of the race and held on to take the win, ahead of Ricky Brabec (JCR Honda) and Beta USA’s Joe Wasson. Tyler Lynn (Yamaha) and Dalton Shirey (Husqvarna) rounded out the top five overall. Two-time and defending series champ Norman seemed to find another gear after passing Wasson for the lead, but this wasn’t to be his day. With the aid of some tools that a spectator provided, Norman eventually got the chain free but not before losing a number of positions. After soloing to the Parker 250 win two weeks ago, Argubright is enjoying probably the best start to his year ever despite being a privateer aboard his Motion Pro/Rev Designs/Fly Racing-backed KX450.